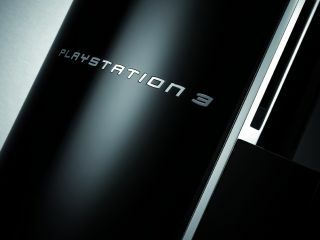 A snap announcement of an upgrade to the PlayStation 3 from Sony Computer Entertainment today has the v2.60 firmware arriving as soon as tomorrow. The news broke on a US PlayStation blog - http://blog.us.playstation.com/2009/01/20/upcoming-ps3-firmware-v260-update - where you can see a quick run-through of the update's new features. The main feature is a new Photo Gallery application (a 100MB download), offering a suite of tools to view and organise images. Digital photos can now be sorted in lots of different ways. The default view is a scrolling timeline but you can also sort by the camera used to take the picture or the album it's in. So far so Photoshop. The PS3 innovation is to also let you sort by colours in the photo, the number of people in it, their ages and even their facial expressions ('With Smiles' or the euphemistically named 'Other'). You can combine sorts to get a narrow range of images: such as Children With Smiles shot in 2008. Exisiting slideshow and playlist features are not affected. Other additions with firmware v2.60 include guest access to the PlayStation Store to browse all the stuff you can't buy, and support for DivX video playback, which is apparently 'great for reliving hilarious home video moments'. And not illegal downloads at all.